Sodium is necessary for the healthy functioning of your body. Too much sodium, however, may cause swelling, edema and high blood pressure, according to the Cleveland Clinic. Pork tenderloin is a good choice of meat for low-salt diets as it is naturally low in sodium and one of the more tender cuts of pork. 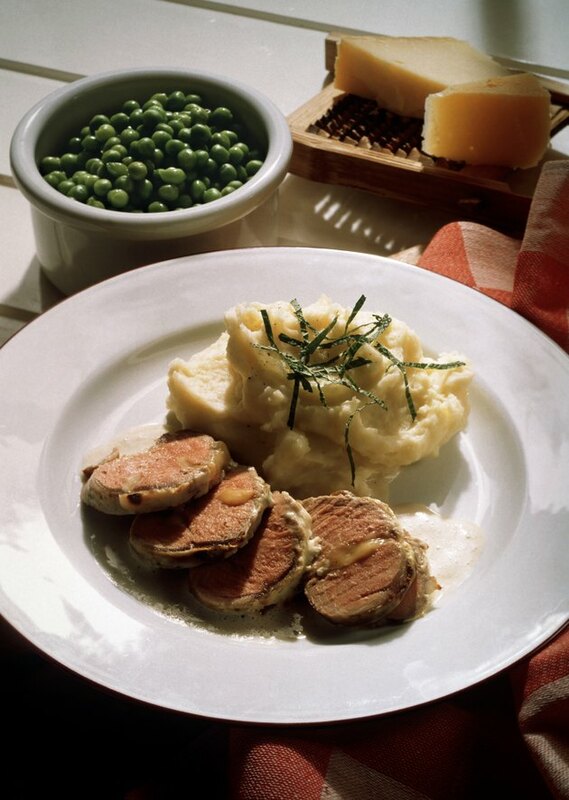 Pork tenderloin is low in fat, and has a mild flavor. Because you are not adding salt to the tenderloin, use a marinade to add extra zest to the meat. Combine ¼ cup balsamic vinegar with the olive oil, rosemary, pepper and garlic. Place the tenderloin in the plastic bag and set in the shallow dish. Pour the marinade mixture in the bag and seal. Allow the tenderloin to sit in the refrigerator for about one hour. While the tenderloin marinates, gently boil ½ cup of balsamic vinegar in the saucepan over medium heat until it has reduced by half. It should take about 5 minutes. This will make a balsamic glaze for the pork tenderloin to be used just before removing from the oven. Remove the pork tenderloin from the marinade. Throw the marinade away. Place the tenderloin in the roasting pan on the rack. Cook in the oven for 20 minutes to 27 minutes, or until the internal temperature reaches 145 F when tested with the meat thermometer. Remove the tenderloin from the oven and spread with the balsamic glaze. Return the tenderloin to the oven for two minutes. Remove the pork tenderloin from the oven and cover the roasting pan with aluminum foil. Allow the meat to sit for three minutes before serving. To freeze pork tenderloin, wrap the meat in heavy-duty aluminum foil, heavy-duty plastic wrap or a heavy-duty plastic freezer bag. Letting the cooked tenderloin rest for five to 10 minutes after cooking allows the meat to reabsorb its juices, making it moister. Raw pork tenderloin should not be kept in your refrigerator longer than two to four days without cooking.